The original plan was that the first-born sons would be the spiritual leaders. Then the kohanim were appointed in their place, which is why the kohanim and not the first-borns bless the congregation with the Priestly Blessing that is sourced in today’s Torah reading. Why were the first-borns replaced? Tradition attributes the change to the time of the Golden Calf. The sin involved the first-born as well as many other members of the people. 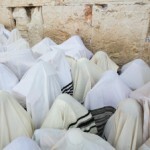 The kohanim, however, took a firm stand against any form of idol-worship. God therefore decided that the kohanim warranted special status and privileges. Some modern kohanim are overtaken by a feeling of modesty and try to shrug off their priestly duty. Strangely, they have no problems with being called to the Torah at the head of the list; other things which they regard as onerous are a different matter. The Torah is quite clear: being a Kohen, with all its privileges and responsibilities, is a sign of Divine confidence and every kohen should wear his kohanic distinction with happiness and pride. 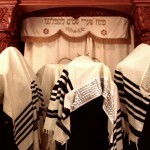 The priestly blessing, which originates in this week’s Torah portion, is invoked on the congregation by kohanim who have covered their heads with their tallit. The congregation can hear their voices but not see their faces. Maybe this is because it is God who bestows the blessing, not the kohanim themselves, who are merely the Almighty’s agents. Another possibility is that this is a real moment of truth for the kohen. Yes, he is acting on behalf of God, but that gives him both fear and joy. The fear? With his whole head covered he stands in awesome loneliness with God, bereft of a human support system, wondering whether he is really worthy of his task. The joy? He is also indescribably ecstatic that there is such Divine love for him, that God places such trust in him, that he has such a privilege. We are deputed to do God’s work in the world. May we deserve the privilege and use it wisely. The priestly blessing begins, “Thus shall you bless the Children of Israel” (Num. 6:25). It ends with the word shalom, “peace”. According to the blessing, it is God who grants peace. Not that peace descends magically upon the world, bringing a sudden mood of harmony and stability. It needs our help. If we work towards peace, God strengthens our hands. Aaron the first high priest should be our model. We know from Pir’kei Avot (1:12) that he was ohev shalom v’rodef shalom – he “loved peace and pursued peace”. Loving peace is the first step. Our philosophy must be one of peace. Peace must be our highest ideal, our chief value. The second step is to follow the paths of peace in whatever we do, wherever we are, whatever the circumstances. There was a campaign some years ago called “A Million Minutes of Peace”. It’s a good slogan. Every minute of every day must be filled with acts of peace. The minutes will become hours, the hours will become days, the days will become years, the years will become an eternity, and the priestly blessing will suffuse the whole of the universe and all of God’s creation. That’s the magic, that’s the miracle.